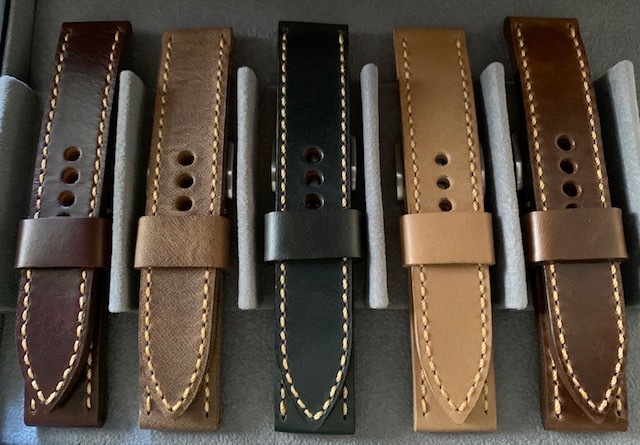 Europelli Custom Leather Straps-All sized to fit a wrist from 6-6.75 inches.The length of the straps is 120-125 x 70-75 and each strap comes with a buckle. Each strap is hand stitched and has vintage patina stitching. 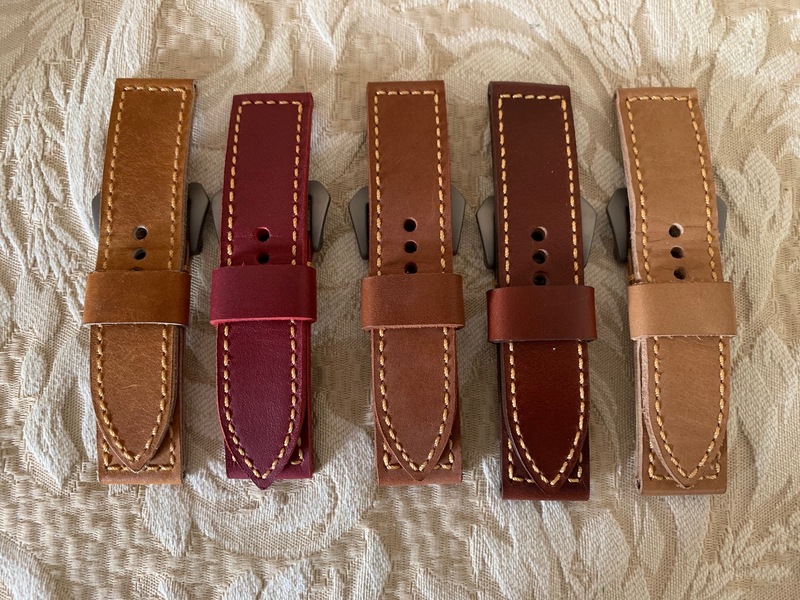 The straps retail for 175.00 each and are available 100.00 each.